Stress Begins In the GUT! So I got the unique opportunity to meet Zack Bush, MD, the creator of Restore last year when he gave one of the most educational talks on nutrition I had ever heard. I’m naturally skeptical and not an easy sell. What I observed was an individual that not only glowed with natural health but you couldn’t but be touched by his compassion and hope for humanity. If you get the chance to hear him speak it will be both riveting and worth your time. 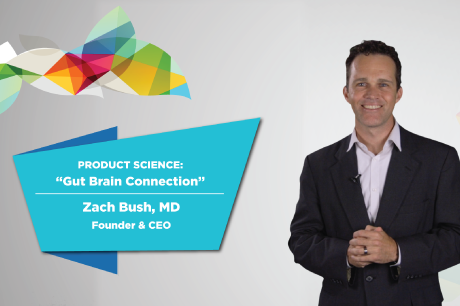 So why am I now recommending a product to every family, friend, or client that will listen? Here’s the simple breakdown: Glyphosate (i.e Round Up) a common pesticide is literally in a majority of our food. Not only that, if you’re not eating organic then chances are stellar that it’s on the food that our food eats. great so far huh? Wait it gets better. Then the runoff of these pesticides have created what has been labeled “Cancer Alley” wherein the data of commercial runoff into a Southern Mississippi River area is highly correlated with exponentially higher rates of cancer and a large variety of auto immune disease. Isn’t that, well, horrible? So what we know is that the Glyphosate creates a chemical imbalance that attacks the one cell thick permeability of the gut wall. Why we haven’t outlawed this like many other countries have yet, I simply don;t understand. Unfortunately, when that gut integrity gets compromised, the breakdown of multiple systems begins. The body literally begins attacking itself. Inflammation, the single largest cause of disease ensues. Dr. Bush researched the drugs that ineffectively treated cancer for years. In his studies he stumbled across similar patterns in chemical activity that provide nature’s solution to the glyphosate break down to the gut lining occurring en mass in our current society’s food system today. This product RESTORE is unlike any supplement on the market. 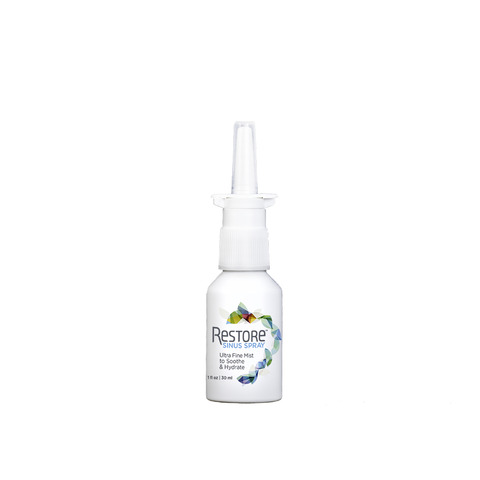 Made in the US, RESTORE is a soil-derived, scientifically-backed mineral supplement that has been shown in lab studies to strengthen tight junctions in the gut wall, our firewall against toxins entering the body. 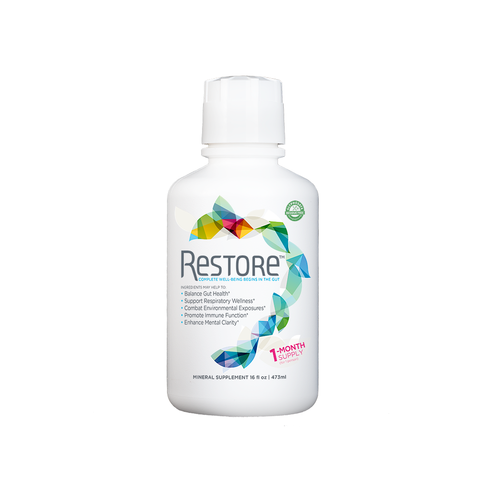 RESTORE helps create a biological environment for good gut bacteria to grow and flourish, to support improvement of overall health, naturally. It’s like Mother Nature keeps giving us second chances to fix our mess. This product literally shifted my own personal relationship with a years long problematic digestion system. Some people notice the shift in days. There are a lot of other things each of us can do to decrease inflammation in our bodies which will affect everything from anxiety to the onset of disease. I’ll be talking about Sugar at some point so stay tuned. But, please, take my recommendation and stock up on this one!